(Reuters) - Comcast Corp (CMCSA.O) dropped its $66 billion bid for Twenty-First Century Fox Inc's (FOXA.O) entertainment assets on Thursday but said it would still try to expand its international footprint by acquiring 61 percent of European broadcaster Sky Plc (SKYB.L), the remainder of which is owned by Fox. Comcast's withdrawal is a concession to Walt Disney Co (DIS.N), which last month sweetened its offer for the Fox assets to $71.3 billion(54.75 billion pounds), in a bid to unite two storied Hollywood studios and several television networks under one corporate umbrella. Comcast's move de-escalates one of the media industry's most high-profile confrontations, which pitted Comcast Chief Executive Brian Roberts against Fox Executive Chairman Rupert Murdoch and Disney CEO Bob Iger. However, it still leaves the two companies competing to expand in Europe via a bidding war for Sky, which is 39-percent owned by Fox. Fox has also made an offer for the 61 percent of Sky it does not own, although Comcast is currently the highest bidder with a 14.75 pounds-per share-offer, worth $34 billion, for the London-listed pay TV group. Shares of Comcast, the largest U.S. cable company, rose 2.7 percent as investors were relieved the company did not try to outbid Disney further. Disney shares were up 1.6 percent. Fox shares fell 1.2 percent and Sky ended down 1.5 percent. One of the reasons Comcast dropped its bid for the Fox assets was that the bidding war was inflating the value of Sky, given its partial ownership by Fox, according to sources familiar with the company's thinking. "Walking away from the battle for Fox at this price we think supports the view that (Comcast is) fine without it," said Jonathan Chaplin, analyst at New Street Research. "It remains to be seen how Sky wraps up, but we think it is highly unlikely that they would bid up to a price that would suggest desperation." Disney and Fox did not immediately reply to requests for comment. On CNBC, Disney's Iger said he was "extremely pleased with today's news." Fox and Disney shareholders will vote on their deal next week. Comcast dropped its bid for the Fox assets because it was concerned the price was becoming too high, even though its banks were ready to finance a new bid, according to the sources. It was also worried how much revenue it would lose in divesting assets to appease U.S. antitrust regulators. "I'd like to congratulate Bob Iger and the team at Disney and commend the Murdoch family and Fox for creating such a desirable and respected company," Comcast's Roberts said in a statement on Thursday. Immediately before the acquisition by Disney, Fox will separate the Fox Broadcasting network and stations, Fox News Channel, Fox Business Network, its sports channels FS1, FS2 and the Big Ten Network, into a newly-listed company that it will spin off to shareholders. The bidding between Comcast and Disney is part of a bigger battle in the entertainment industry as media giants splash out tens of billions of dollars on deals to be able to compete with Netflix Inc (NFLX.O) and Amazon.com Inc (AMZN.O). 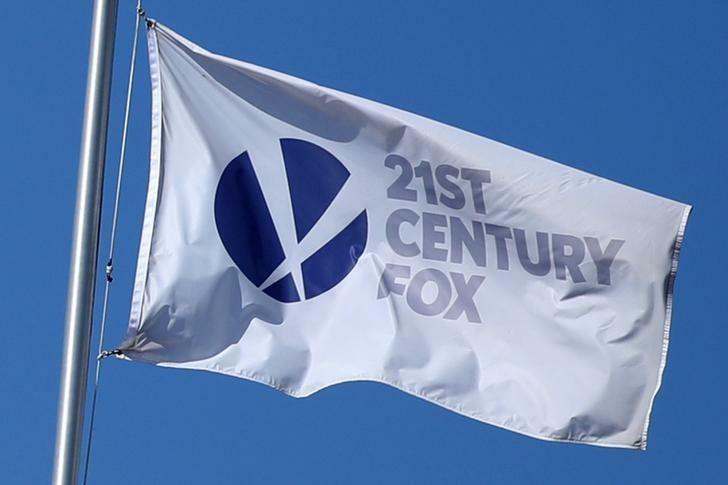 "Our view is that probably there is less chance of Fox/Disney coming back with an increased offer for Sky given that Comcast would have more available firepower," said Liberum analyst Ian Whittaker. Nevertheless, Sky shares ended trading at 15.09 pounds on Thursday, above Comcast's 14.75-pound-per-share offer, as investors continued to bet on a better deal. "I don’t think Disney wants to give up Sky," said Crispin Odey, whose eponymous hedge fund owns Sky shares.